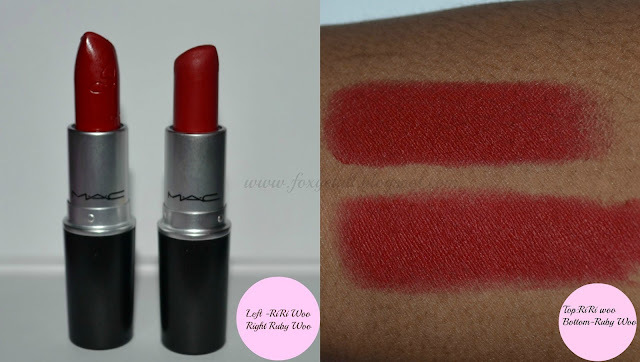 In terms of similarities both lipsticks are equally long lasting ,vibrant and universally flattering, however RiRi Woo is a tad bit deeper with a slight blue undertone than Ruby Woo, another difference is that Ruby Woo is harder to apply whereas RiRi Woo glides on effortlessly and is more moisturizing on the lips. 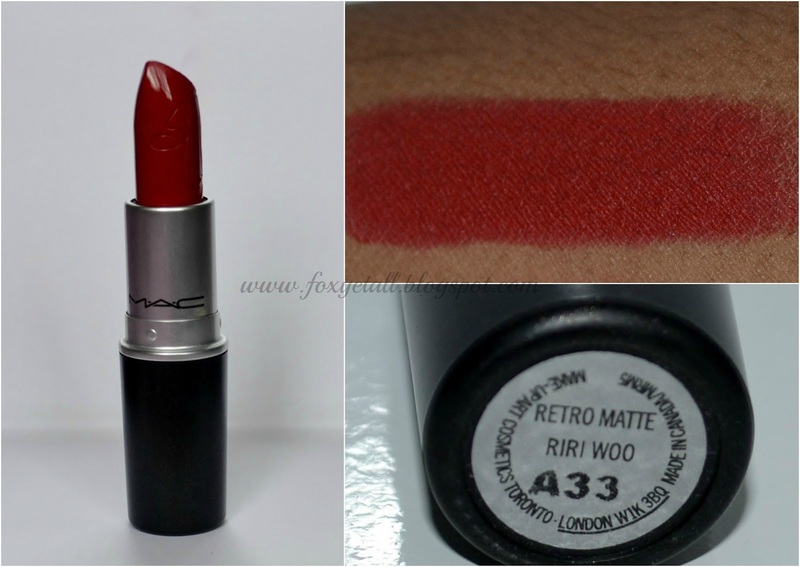 Overall RiRi Woo is a gorgeous red lipstick to own, but if you have Ruby Woo you can definitely skip on RiRi Woo as they are almost identical the only major difference is RiRi Woo wears more comfortably on the lips however if you are a red lipstick fiend and/or Rihanna fan then this lipstick is worth having. Did you get Riri Woo when it was released earlier this month if not do you plan on getting a tube? I like this type of red because it's a bit dark. Looks lovely on you. But of course, you have full lips, and any lip color would look great on you. I love that highlight on your face. Your glowing darling!!! Ugh I'm in love with this color! Wish I coulda got my hands on this, lucky you lol looks great on you by the way! You look great doll face. And I love the colour on you. This is a dupe of the classic in my opinion. And I love Rihanna but nah. When I heard ppl were selling it for waaaaay above the retail price on Ebay I said this is cray. Thanks for the comparison. I am such a red lippy fan and really wanted riri woo but I was not willing to join lines in Toronto for a lippie. 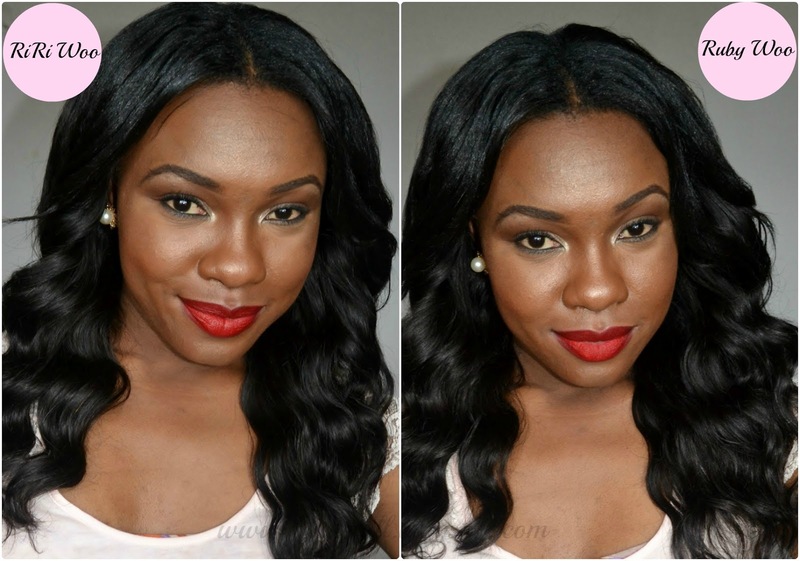 As for ruby woo, I tried to love this lipstick but as you mentioned it doesnt wear comfortable. (so dry on the lips its not worth it for me) Great review!